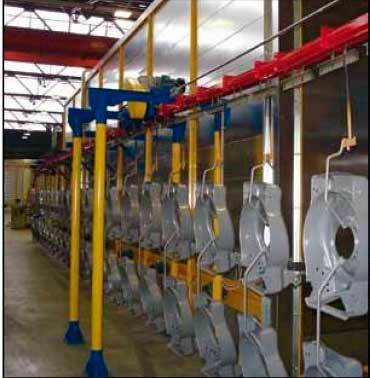 Our painting lines, inclusing Euro90, for various household appliances, furniture and other items made of metals (steel, aluminium, Zinc, etc.) is focused on energy savings and environmental protection. Euro 90 is the only complete cycle spray painting system, based on a perfectly modular, completely expandable design. 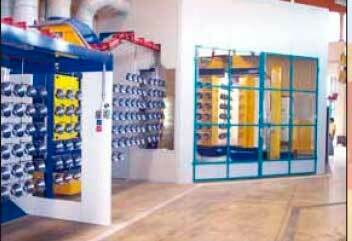 Euro 90: these 7 standard systems have been installed in more than 800 plants all over the world in the past 20 years. They can deal with any kind of metal item: chairs, furnishing elements, refrigerators, and bicycles, guaranteeing conformity to all required standards: mechanical resistance, resistance to corrosion, glossy finish and bright colour. Euro 90 has been designed and built to the most exact standards for environmental protection and energy savings. Special care and attention has been focused on the construction of the insulated panels used for building the curing and drying ovens. Another unusual aspect is the construction of the “immersion” type heat generators with zero condensation, providing the highest possible combustion yield. The Euro 90 pre-treatment tunnel is essential for ensuring perfect piece quality before it undergoes painting operations. 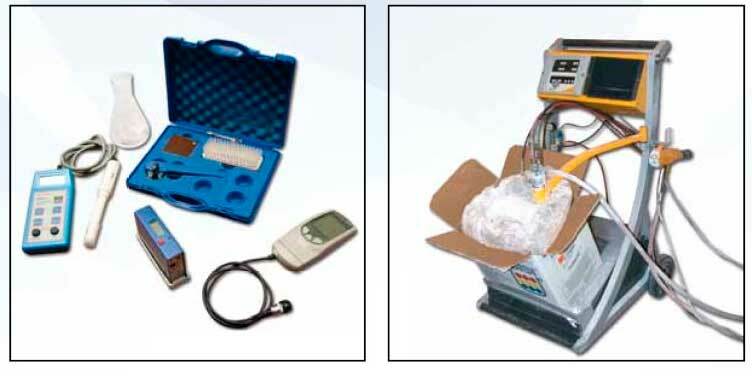 Several stages of treatment can be performed in succession according to the type of material and the quality required; the Euro 90 modular system is able to handle any requirements using both conventional cycles, or highly innovative cutting edge cycles using nanotechnology. Since we have focused strongly on providing maximum energy saving and the lowest possible environmental impact, we designed “Control power system“, a special high performance heating system for the Euro 90 tunnel treatment water. The Euro 90 tunnel is also fitted with a special self-cleaning fi lter called “Easy clean“. This filter reduces cleaning maintenance of treatment tanks and spray nozzles to a minimum, to guarantee longer bath life thus eliminating the need for frequent equipment dead-times. All Euro 90 tunnels are equipped with a reverse-flow waterfall system for water recovery. 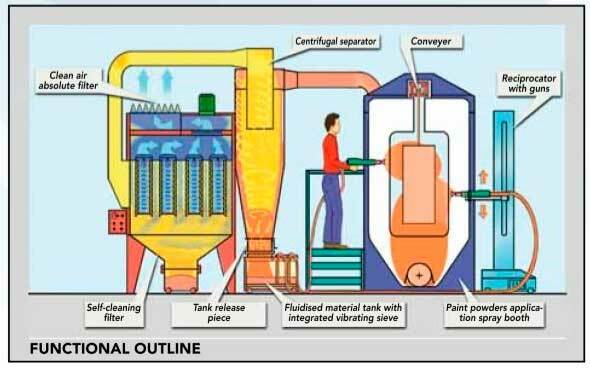 Water is recycled to supply the heated treatment tanks providing considerable energy savings supplied by the water, heat and chemical products. 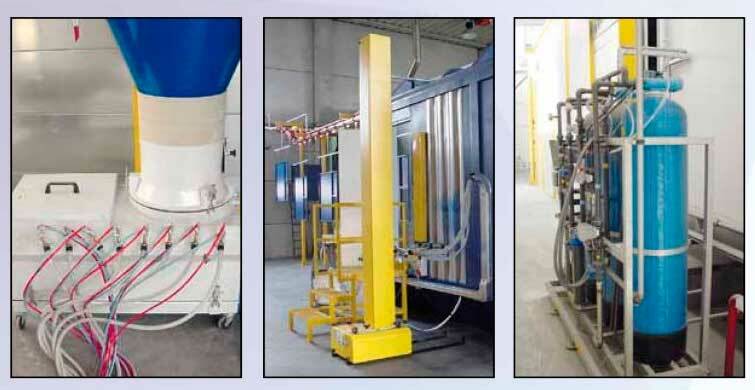 As we are focused strongly on providing maximum energy savings and the lowest possible environmental impact when designing its equipment, hhis has led to the design of Euro 90's drying and curing ovens. These are equipped with an independent heating system with separately adjustable temperature and ventilation control. 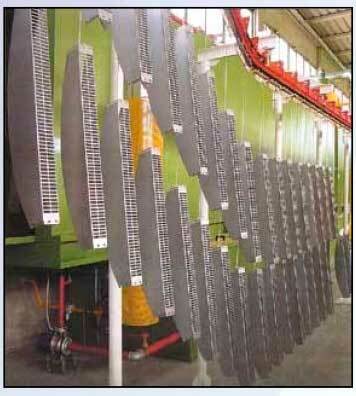 Special care and attention has been focused on the special insulation of the panels for the Euro 90 ovens. The project design and the special modular construction are carried out with extreme care in the company production department. 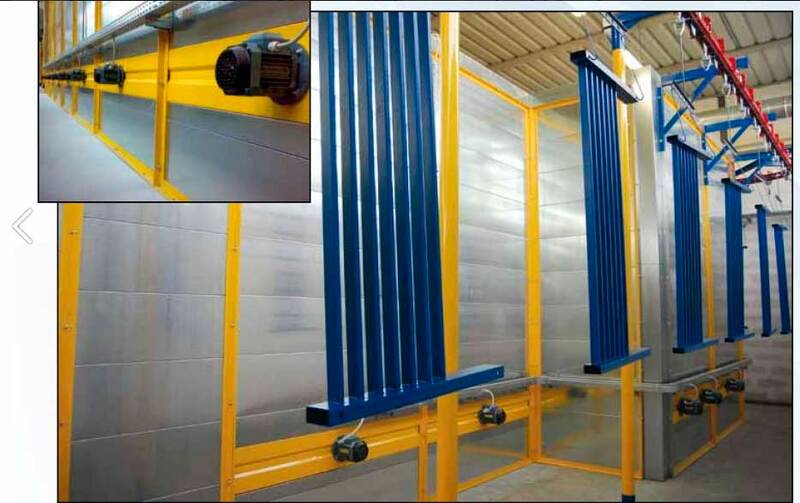 The Euro 90 curing bell oven has an indirect air heat exchange system. 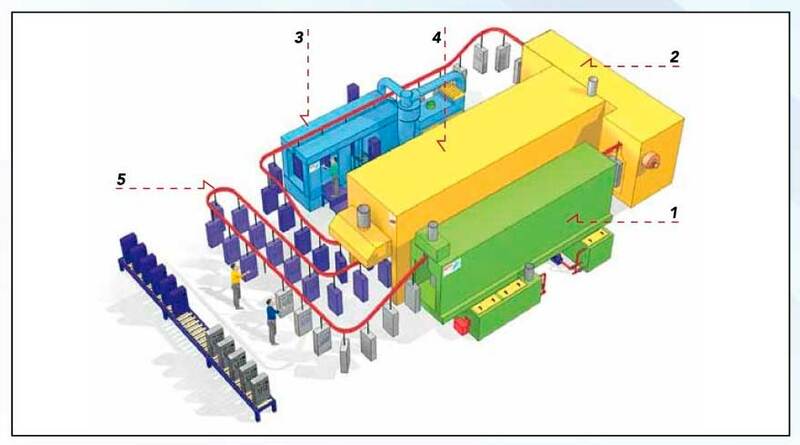 This system provides higher performance and is safer than the previous direct exchange system which sometimes causes finishing and environmental problems . A special ventilation system has been installed along the total length of the oven to guarantee uniform heat distribution from start to fi nish, as well as providing a top to bottom homogeneous temperature on the parts to be sprayed. 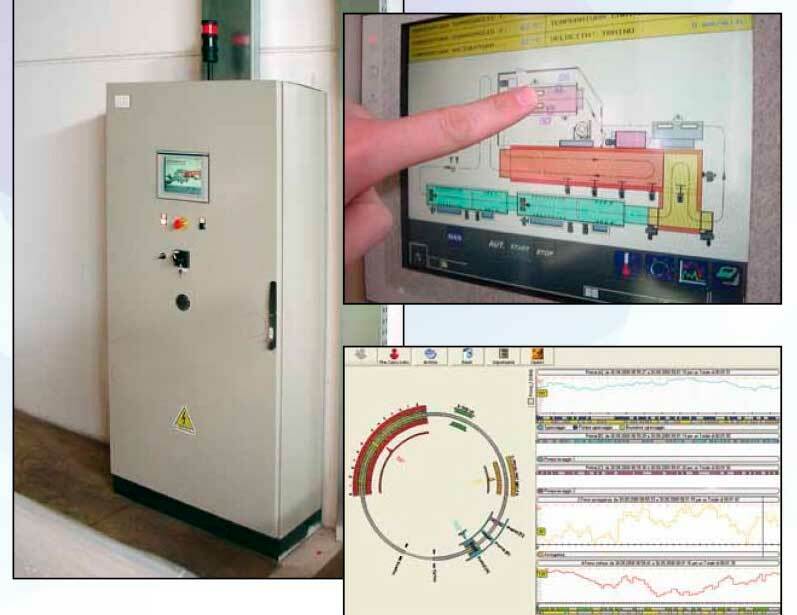 Temperatures in the drying and curing ovens are controlled and monitored constantly through a Touch screen control panel. 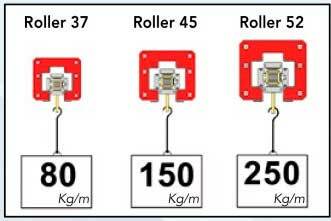 Should any faults occur, alarms are triggered immediately for rapid intervention. 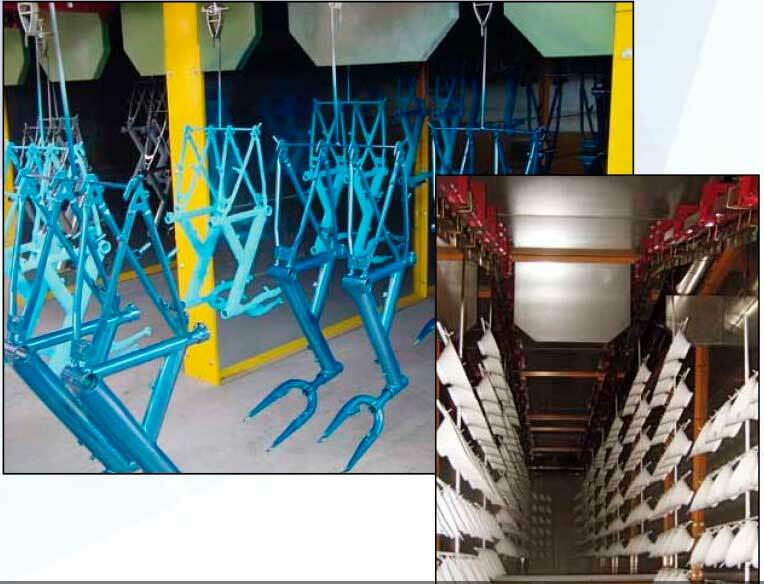 After the pre-treatment stage, parts enter the painting booth where it is coated with a layer of powder coating. 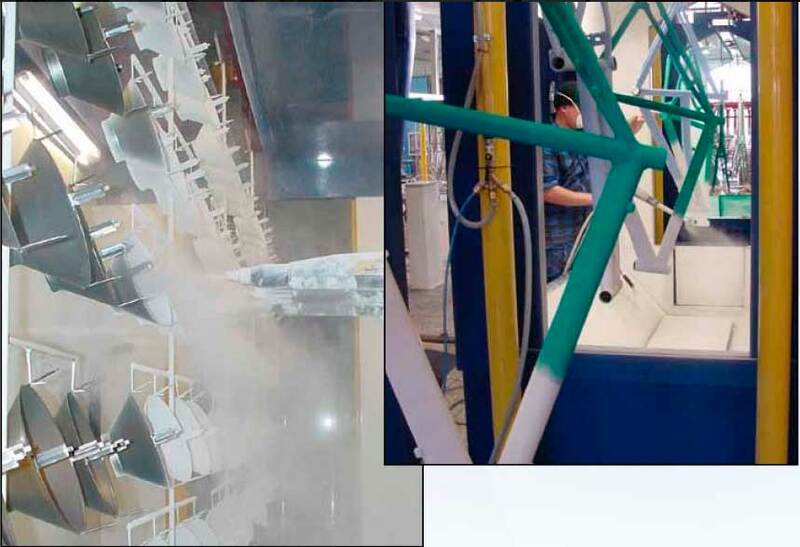 A cyclone extraction system recovers all excess powder. We design and build plain compact painting booths that can be adapted to change paint finishes very easily at any time. To resolve the problems linked with conventional stainless steel booths, where walls are smooth, but also very conductive, we have built and now supplies two new booth models : CP and DS. The CP model painting booth, complete with powder recovery system, is built in powder painted steel to provide smooth internal non conductive walls. The DS model painting booth, complete with powder recovery system, is built with a special internal multilayer DIELECTRIC SANDWICH coating. 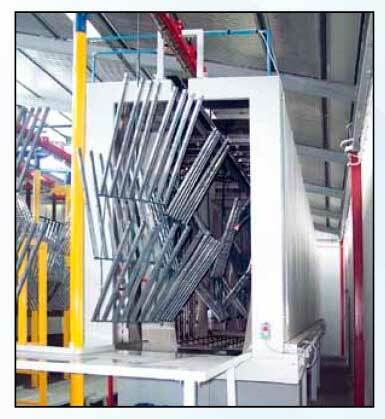 A line of different overhead conveyor systems for loading and transporting a wide range of pieces from lightweight to extremely heavy loads. A motorized inverter-controlled Caterpillar system guarantees the constant fl uid transport flow of items to be handled. The system is equipped with automatic cleaning, blowing, and lubrication systems that maintain the transport chain in perfect condition for long periods, and that guarantee smooth operation even at high temperatures. Carrying capacity distributed on a linear metre. A touch screen monitor on the PLC controlled Euro 90 panel makes operations easier, permitting the operator to control the whole painting system automatically with extreme simplicity. 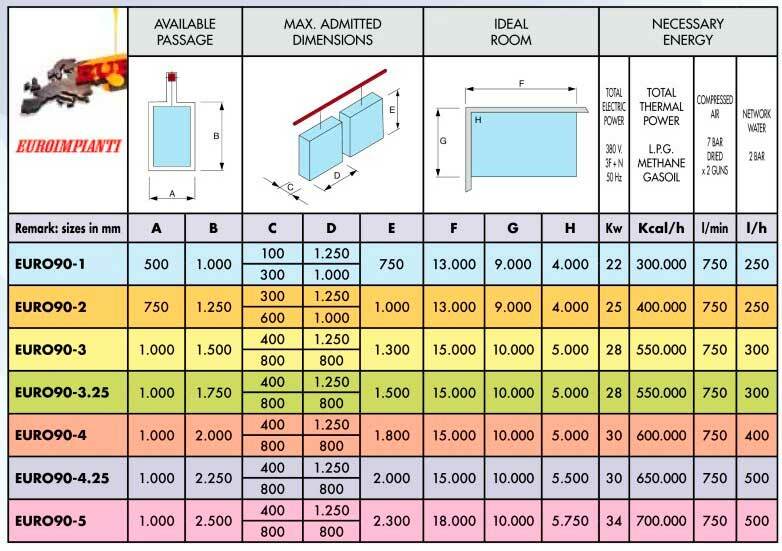 The software reduces energy consumption considerably by optimizing switch-on and switchoff in the various areas of the system. 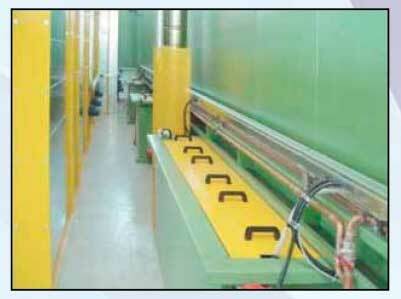 This also provides the possibility to continuously monitor work times, temperature graphics, alarm messages, etc. In addition, it is also possible to connect the control panel to a pc installed with software for Quality Control Supervision of all painted products, together with recording and print-out of all data necessary for the Quality System. When required by specific customer needs, and in cases where pre-treatment cycles are more sophisticated, the Euro 90 line can be extended thanks to its modular system designed to interface perfectly with its basic components. 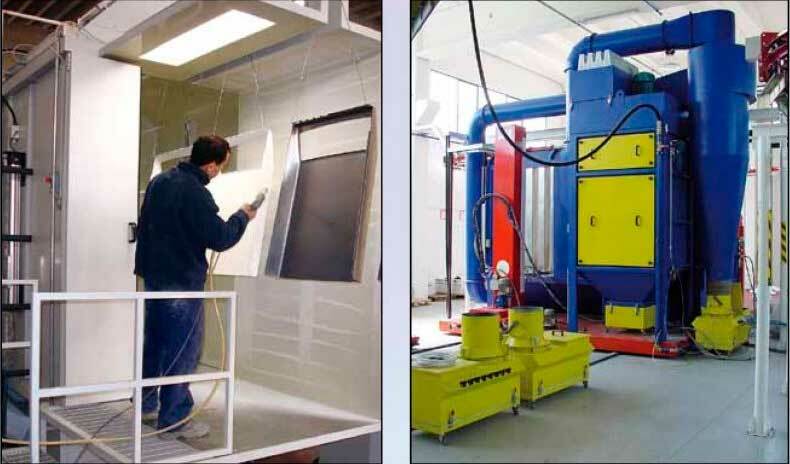 Thanks to collaboration agreements with some of the most important painting equipment manufacturers, Euroimpianti can supply customers with electronic reciprocators, automatic and manual electrostatic spray guns, product code reader barriers, and instruments for finished product measurement or certification.